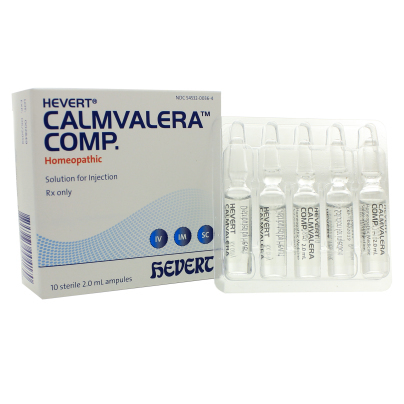 Hevert Calmvalera Comp. is a homeopathic solution for injection. This homeopathic medicine is for human use and RX only. For the treatment of nervous disorders, such as restlessness and sleep disorders, mild depressive states, and mental exhaustion. Hevert Calmvalera Comp. may be administered intravenously, intramuscularly, or subcutaneously.